588. Punctuation Rules / Book Review (Part 2) Apostrophe, Full Stop, Comma – Part 2 of my episode about punctuation. This one covers punctuation rules for apostrophe, full stop and comma. Also you can hear the rest of my book review of Punctuation..? by User Design. Transcript available. 587. Punctuation Rules / Book Review (Part 1) – This episode is about the importance of punctuation in writing. I’ll teach you the names of various punctuation symbols and review a cool punctuation reference book that someone sent me recently, and yes I do think it is possible to have a cool book about punctuation! Transcript available. It’s LEP’s 10th Birthday! – 10 years ago to this day I published the first episode of LEP. 10 years later I can now say that I’m making a living from doing what I love. Thank you for listening and making my podcast what it is today! 586. The Importance of Listening – Recently I was reading a book about listening and learning English. This episode is a summary of what I read, including details of how listening fits in with learning English, some considerations of the importance of listening and also some tips for how to improve your English with audio. 585. Alternative British Citizenship Tests with Paul Taylor – Testing Paul Taylor again on his knowledge of Britishness with several alternative British citizenship tests and some very British problems. 584. Posh or not posh? (Part 3) with Amber & Paul – Amber & Paul join me to talk again about poshness, posh accents and posh celebrities. This episode is full of different British accents – posh, RP and regional differences, and lots of laughs! 583. British Comedy: The Dirty Fork / Restaurant Sketch (Monty Python) – Analysing the English in a sketch by Monty Python’s Flying Circus, and considering British communication style relating to apologising, making complaints and minimising language. 582. Posh or not posh? (Part 2) Guess the Posh British Celebrities – Can you identify which UK celebrities are posh and which are not? Let’s listen to some British celebrities speaking, check their Wikipedia pages and work out of these people are truly posh or not. You’ll hear samples of lots of spoken English in this episode and we’ll focus on accent and pronunciation. 581. Posh or not posh? (Part 1) Understanding Posh People and Posh Accents – Everything you always wanted to know about posh people, but were afraid to ask. This episode is all about poshness in people, posh accents and what it really means to be posh. 580. Ramble / Listener Comments / Robots / Vampires / Two Taps in the Bathroom – A rambling episode with responses to listener comments, LEPster meetups, English Robot 3000 & 5000, vampires leaving comments on my website and the continuing mystery of two taps in the bathroom. 579. [2/2] IELTS Q&A with Ben Worthington from IELTS Podcast – More conversation with Ben Worthington from IELTSPodcast.com, talking about English skills and exam skills, considering the whole approach and mindset that you need to succeed in IELTS. Includes questions from listeners. 578. [1/2] IELTS Q&A with Ben Worthington from IELTS Podcast – A conversation with IELTS teacher Ben Worthington about the IELTS test, with advice for getting your best score in speaking, writing, reading and listening. Includes questions from listeners. Part 1 of 2. 577. UK vs US Slang Game (with Jennifer from English Across the Pond) – In this episode I’m joined by Jennifer – a podcaster from the USA, and we test each other on our knowledge of slang from our countries. Listen and learn some informal words from British and American English. Notes & definitions available. [Website post] I was on the Rock & Roll English Podcast again / New Premium episodes coming throughout February – Dear website visitors and email subscribers, This is not another new episode of the podcast. It’s just a newsy message from me to you, but I do have some audio to share… Click the link to read this post and listen to the audio. 576. Talking about Comedy, Books, Films & Music with James – My brother James is back on the podcast for a 90min+ mega-ramble about things like: taking sick days from work, snowboarding, doing stand-up for the first time, the new film about Laurel & Hardy, Steve Coogan / Alan Partridge, The Beastie Boys and making mix tapes on cassettes in the 1990s. 575. British Comedy: Paul Chowdhry – Understand a stand-up comedy routine by Paul Chowdhry, a British comedian of Indian descent. We’ll break down his comedy bit by bit, understand each line and learn some English in the process. 574. [2/2] The Rick Thompson Report: Brexit Q&A (January 2019) – My dad answers some questions from listeners about Brexit. 573. [1/2] The Rick Thompson Report: Brexit Update (January 2019) – Part 1 of a double episode of the Rick Thompson Report, talking to my dad about the latest developments in the shambolic Brexit story. 572. Worst Stand-up Gig Experiences (with Amber & Paul) – Amber, Paul and Luke tell some stories of their worst ever stand-up comedy gigs. Expect some anecdotes about embarrassing and humiliating experiences on stage, and “dying on your arse”. Intro & outtro transcripts available + bonus audio in the LEP app. 571. Bill Burr’s Hilarious Plane Story – Enjoy Comedy/Storytelling in English – Understand a funny anecdote by comedian Bill Burr. In this episode we’re going to do some intensive listening practice using the true story of a bizarre encounter with a man on a plane. Look out for language for travelling by plane, some American English and A LOT of swearing, particularly the F word. 570. Learning & Teaching English with Zdenek Lukas (Part 2) – Part 2 of my chat with Zdenek from the Czech Republic. In this one we talk about becoming an English teacher, taking the infamous DELTA teaching course, Zdenek’s podcast and board game, and some long-lost (and embarrassing) comedy YouTube videos I made in the pre-podcast days. Intro & outro transcripts available. 569. Learning & Teaching English with Zdenek Lukas (Part 1) – Talking to English teacher & podcaster Zdenek Lukas from the Czech Republic about various things, including how he learned English to a high level by working on a building site in East London with a team of cockneys who couldn’t pronounce his name properly. Intro & outro transcripts available. 568. 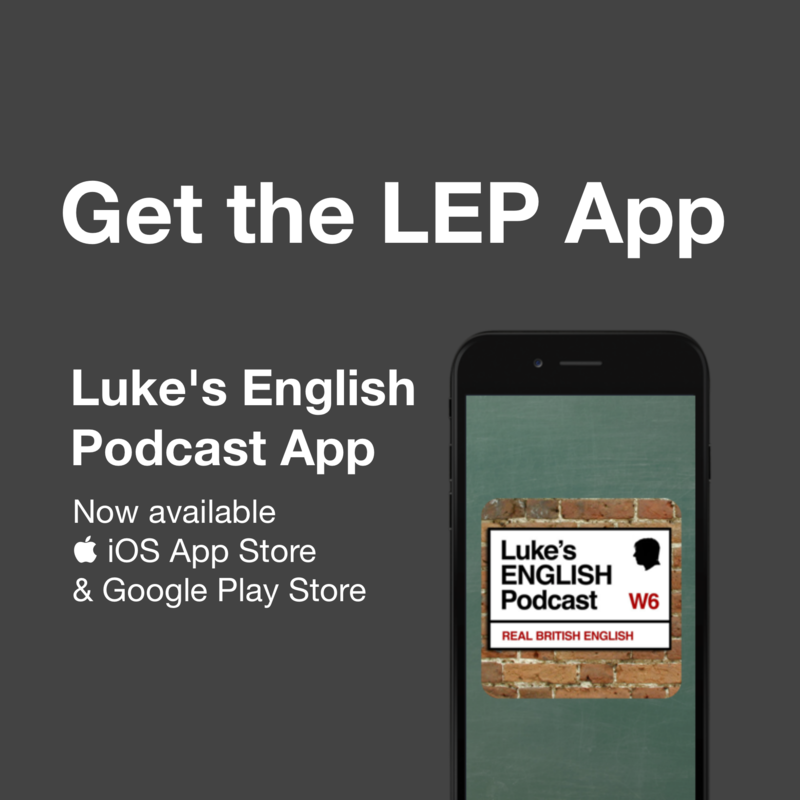 What is Luke’s English Podcast, and how can it help you with your English? – What are the aims & objectives for this podcast? How can you use it to improve your English? This episode is an introduction for new listeners and a reminder for long-term listeners: This is a podcast all about learning English through listening, while having some fun in the process. Transcript available. 567. Alternative Christmas Stories & Poems / Beatles / Happy New Year from LEP! – This is the last episode of LEP before the end of 2018. It’s Christmas and New Years Eve is approaching, so it’s time for the traditional Christmas episode of LEP! In this one I’m going to read some Christmas stories and a couple of poems which are a bit different to the normal stuff you get at this time of year. Also, keep listening for a funny appearance by The Beatles. Transcript & notes available. 566. The Collins Words of the Year (Part 6) 2018 with Amber Minogue – The final part of this series about trending words and issues in 2018, this time with friend of the podcast Amber Minogue. Join us as we talk about jogging, picking up litter, bird watching, VAR & football, veganism, ethnic diversity in Hollywood and more. Notes available. 565. The Collins Words of the Year (Part 5) 2018 with Amber Minogue – Talking to my friend Amber about some trending vocabulary and hot topics from 2018, like plastic pollution, dance crazes and the Brexit backstop. Includes discussion, language explanations, David Attenborough impressions and more. Notes available. 564. The Collins Words of the Year (Part 4) – More trending vocabulary and issues of the moment, this time focusing on topics like working conditions in the gig economy, the pros and cons of instagram and a true story about a unicorn riding a bike in London. Transcript available. 563. The Collins Words of the Year (Part 3) – More vocabulary explanations & discussion of big issues, including how social media affects our worldview, the pros and cons of fidget spinners and debates about gender identity, including thoughts on the new female Doctor in Doctor Who. Transcript available. 562. The Collins Words of the Year (Part 2) – Vocabulary explanations and discussions of hot topics from the last couple of years. Talking about some controversial political stuff like the rise of fascism and anti-fascism, the relative popularity of UK opposition leader Jeremy Corbyn, and how the winter season changes people’s feelings about romance and relationships. Transcript available. 561. The Collins Words of the Year (Part 1) – The first part of an episode series about trending vocabulary – words which have been used a lot in the last couple of years. Listen to me talk about words chosen by Collins Dictionaries as their “Words of the Year”. This first episode focuses on how publishers use big data and then lots of discussion about the 2017 word of the year, which was fake news. Transcript available. 560. Sarah Donnelly Returns – Writing jokes, public speaking, doing comedy in another language – Talking to comedian Sarah Donnelly about how she writes her material, advice on speaking in front of an audience and how to avoid negative feelings, performing stand-up comedy in another language, and more. Sarah is a comedian and language teacher from the US, now living in France. 559. The Rick Thompson Report: Brexit Chaos (November 2018) – Talking to my dad, Rick Thompson about recent developments in the story of Brexit – Britain’s exit from the European Union. Recorded on 18 November 2018. 558. Rambling in the new Sky-Pod – Another solo episode, recorded in the new sky-pod. Talking about moving to the new flat, some podcast news, meeting Louis CK, WW1 remembrance, rock climbing and more… Some vocabulary is explained during the episode. A Letter from Luke – 9 Nov. 2018 – No episodes for a little while – I’ve got limited internet access. This is not an audio or video episode – it’s a letter from me to you. 557. I’m a Rambling Guy (Monologue – Autumn 2018) – A rambling monologue about my recent French test, a duck-related error, responses to the Alan Partridge episodes and the Russian comedy club video, moving out of the sky-pod, and life with my wife and daughter. A video version of this episode is available for Premium subscribers in the LEP app and online. www.teacherluke.co.uk/premium Audio available on 1 November. 556. With Jessica Beck from Honestly English – Talking to English teacher Jessica Beck about her new website, “Honestly English” and some typical topics she talks about and teaches, including the #MeToo movement and our favourite female superheroes and comedians. Videos and links available. 555. Raphael Miller’s Summer School Report – Raphael Miller (previously heard in episode 522) is back on the podcast to tell us about his experience of running a summer school for international teenagers in Liverpool. 554. ODD NEWS STORIES (with Mum & Dad) – Discussing some strange and funny news stories with my parents. Thanks to my Mum & Dad for their contribution to this episode. Transcripts, news stories and notes available. 553. Fighting Wildland Fires with Benny the Russian Firefighter – Talking to firefighter Anton Beneslavsky (aka “Benny”) who works as the leader of an international fire fighting project. We talk about becoming a firefighter, the work that he’s doing with Greenpeace around the world and the very serious threat of climate change. 552. Discussing Comedy & Culture (with Amber & Paul) – Amber, Paul and I listen to a comedy video which is often sent to me by listeners to this podcast. The video is about the experience of trying to understand people when they speak English. Let’s see what the pod-pals think of this comedy from another country. The conversation then turns to comedy, culture, language and some more Alan Partridge. I read out some listener comments at the end of the episode. Notes, transcripts and links available. 551. Catching Up with Amber & Paul #8 – Stereotypes – Chatting to the pod-pals Amber & Paul again and this time the conversation turns to the subject of national stereotypes, and why Paul has bleached his hair blond. Notes & transcripts available. 550. British Comedy: Alan Partridge (Part 3) – The final part of a trilogy of British Comedy episodes about Alan Partridge. This time we’re analysing some of the quieter and darker moments in Alan’s life as he rambles about flasks, cars, seat belts, badges and having an air bag explode in your face. Expect analysis of both the comedy and the language. Vocabulary lists and transcript available. 549. British Comedy: Alan Partridge (Part 2) – Building on the previous episode, this time we’re looking at how Alan Partridge interacts with people in his every day life and how this results in some classic moments of British TV comedy. All the material is explained with plenty of vocabulary to learn. Check the page for notes and transcripts. 548. British Comedy: Alan Partridge (Part 1) – Continuing the comedy theme by analysing a character that most British people know but learners of English find difficult to understand. Check the page for transcripts, notes and videos. 547. Best Jokes from the Edinburgh Festival Fringe – Studying some jokes told by stand-up comedians at the Edinburgh Fringe comedy festival, and dissecting them for vocabulary. Learn English with some jokes and find out about typical joke structures used by stand-up comedians. Transcripts and jokes available. 546. Death by Meteor – This episode is called Death By Meteor and it’s all about asteroids, space, science, maths, astrophysics and the end of the world! Transcript available. 545. The Hitchhiker by Roald Dahl (Short Story) – Learn English with this short story by British writer Roald Dahl. Intro transcript and story script available. 544. The Rick Thompson Report: No Deal Brexit – Talking to my dad about the current Brexit situation, including what could actually happen in the UK if we leave the EU with no deal. Expect language relating to politics, economics and the big issues of the day. Intro and outtro transcripts available. 543. Britain’s First Insect Restaurant Opens – Talking about the creepy subject of eating insects, which might be the solution to many of the problems that humans face as a species. This episode includes discussion of eating habits, environmental issues and some insect-related idioms and expressions. Transcripts and vocabulary lists available. Bon appetit! 542. Talking Rubbish & Just Having Fun with The Thompsons – Talking to my dad, mum and brother about all manner of topics, including: Space, climbing mountains, British comedy, fishing, earworms, tattoos, David Beckham, jokes, citizenship tests, baby monkeys, ghosts and celebrity impressions. Intro and outtro transcripts available. 541. What British People Say vs What They Mean – Examining British communication style and debunking a few myths about how British people communicate. This episode is based on a famous infographic called “What British People Say vs What They Really Mean” or “The Anglo-EU Translation Guide”. It contains lots of thoughts about how direct and indirect cultures communicate with each other, and some samples of business English, with a few improvised scenarios too! Transcript available. 540. What’s Up? Post World Cup / News / LEP Meetup London / Super Mario Earworms –Giving some news, summing up the World Cup, England out, France win, and some chat about music that gets stuck in your head. Get some English stuck in your head with this episode. Transcript available! 539. World Cup 2018  Is It Coming Home? In this one I’m in England talking to my Dad and my brother about the world cup including England’s performances, penalties, World Cup songs, diving, VAR and predictions for the semi finals. 538. World Cup 2018  The Second Round / Listener Comments – Talking about the second round of the World Cup in Russia, including comments about the teams, the games, the issues, England’s penalties vs Colombia and the way football commentators speak. Listener comments are read out. Notes available. 537. How Olly Richards Learns a Language (Part 2) Intermediate Plateau / The Magic of Story / Pronunciation & Personality / Classroom vs Self-Guided Learning – The rest of my conversation with polyglot Olly Richards. 536. How Olly Richards Learns a Language (Part 1) Compelling Material / Input-based Learning – Talking to polyglot Olly Richards about the benefits of listening, reading and using stories to learn English. Full of insights and strategies for effective language learning. Transcripts and notes available. 535. World Cup 2018  – Talking about the World Cup 2018 in Russia, including comments about the teams, players, groups, VAR and England’s performances. Notes & transcripts available. 534. Sugar Sammy Interview (Part 2) Language & Comedy – Part 2 of my chat with hilarious Canadian stand-up comedian Sugar Sammy, talking about his 4 languages, TV shows from our childhood, copying Indian accents, language-related controversy in Quebec, Sammy’s crowd-work skills, stories of difficult gigs in the UK, and our thoughts on recent Star Wars films. At the end of the episode you can hear my spoiler-free review of “Solo: A Star Wars Story”.Transcriptions and notes available. 533. Sugar Sammy Interview (Part 1) Multilingual Comedian – Sugar Sammy is a very popular and famous comedian from Canada. He’s often described as Montreal’s #1 stand up comedian. He speaks 4 languages, he has performed comedy in lots of countries. He might be coming to your country soon to make you laugh. Ladies and gentlemen – meet the wonderful Sugar Sammy! Intro transcript available. 532. A History of The World Cup – Here’s my history of The World Cup. It covers all the World Cups we’ve had since 1930, focusing on the key events with a few dodgy jokes along the way. You can read 99% of the transcript on the page for this episode. 531. Crime Vocabulary Quiz (with Moz) – Test yourself and learn various verbs and nouns related to crime. Features some amusing chat and anecdotes with Moz from the Murder Mile True Crime Podcast. Transcripts and vocabulary lists available. 530. More Murder Stories (with Moz) – My friend Moz (Michael J. Buchanan-Dunne) from the Murder Mile True Crime Podcast tells us some more true stories about murders from London’s past. Contains some gruesome details and explicit descriptions, and some fascinating and unbelievable true stories! Intro and outtro transcripts available. 529. The “M” Word (with Andy Johnson) – Friend of the podcast Andy Johnson returns to give us some news and tell some stories all related to things that begin with the letter “M”. Intro & outtro transcripts available. 528. The Royal Wedding (with Mum) – Talking to my mum about the royal wedding between Prince Harry & Meghan Markle. Describing the ceremony, the guests and the dress, and discussing the place of the monarchy in modern British life. Some transcriptions and vocabulary available. 526. Being a Tourist (with Paul Taylor) + Video – Catching up with Paul Taylor and talking about his recent trips to Japan & Barcelona, the pros and cons of being a tourist and some recommendations for people visiting London and Paris as tourists. Video available on the website and in the LEP app. Please VOTE for LEP in the British Podcast Awards 2018 – Voting Ends on Thursday 17 May Help me build my pod-castle! Vote here: www.britishpodcastawards.com/vote Click the link and search for “luke’s english podcast” Thank you to everyone who’s already voted. Fingers crossed! 爛爛爛  Vocabulary in this Mini Episode listed on the page. 525. Ninja August / Podcast Corrections / Useful Japanese Cat (Listener Comments & Questions) – Responding to more comments and questions from listeners, including some rambling about public holidays in France, why May is like ‘ninja August’, some corrections to what I said about bats and Stephen Hawking on the podcast and the story of an amazing useful cat from Japan. Notes & transcriptions available. 524. Tricky Pronunciation Debates / “Either” “Neither” / Song + Comedy Sketch – Talking about words which can be pronounced several ways, words which are often pronounced incorrectly by native speakers and the debates, arguments and frustration that arises between native speakers as a result. Includes the “You Say Tomato…” song and the Grammar Nazi sketch, explained. Transcript & notes available. 523. Tips for Learning English with Films & TV Shows (with Cara Leopold) – Talking to a fellow English teacher about advice for using TV shows and films to learn English, both with and without subtitles. Notes & transcriptions available. 522. Learning English at Summer School in the UK (A Rambling Chat with Raphael Miller) –Talking to my ex-colleague Raphael Miller about his new summer school for teenagers as well as many other topics, including British social and communication culture, growing up in Liverpool, studying at Oxford University, the famous Star Wars actor Raphael knows and more… Transcriptions and Links Available. 521. Talking about Pets (with James) – Listen to this conversation to hear my brother and me remembering the pets we had as children and discussing some issues related to keeping animals as pets. Intro & Ending Transcripts available. 520. Idioms Game & Chat Part 2 (with Andy Johnson) + 18 More Idioms & Vocab Items Explained – The second part of my chat with Andy Johnson. Listen out for 18 more idioms which will be explained later. Topics include: Twitter abuse, the other Andy Johnson, training for the London Marathon + more. Transcripts and vocabulary definitions available. 519. Idioms Game & Chat (with Andy Johnson) + 25 Idioms Explained – A conversation with Andy Johnson including loads of idiomatic expressions and their explanations. First you can listen to a rambling chat with Andy and then I’ll explain 25 idioms that came up during the conversation. Part 2 coming soon… Transcriptions, Vocabulary list & Definitions available. 518. Grammar Questions (Part 1) Present Perfect Continuous / Future Continuous / Language of Newspaper Headlines – Answering grammar questions from listeners, with details about verb tenses (including present continuous vs present perfect continuous & future continuous vs going to) and the language of newspaper headlines. Includes references to The Queen, The Legend of Zelda and a lot of pizza. Transcriptions & grammar notes available below. 517. Professor Stephen Hawking (An Obituary) – I woke up this morning to the news that Stephen Hawking had died and I thought – I really must talk about this on the podcast. Vocabulary list available. 516. Paul McCartney’s Spider Story – Learn English from an anecdote told by Sir Paul McCartney. Includes intensive listening, a couple of Beatle stories with vocabulary and pronunciation explained and some funny McCartney impressions. Videos available. 515. Becoming “Maman” with Amber & Sarah – Bringing Up Children The French Way – In this episode I’m talking to friends of the podcast Amber Minogue and Sarah Donnelly about the subject of raising children in a foreign country – in this case, France. So this is an episode all about cross-cultural experiences, specifically relating to parenthood. It’s also about a new podcast and stage show which Amber & Sarah have just started. Transcriptions, notes and links available. 514. What’s on the table? (with Fred & Alex) – In this episode you can hear me chatting to Fred Eyangoh and Alex Quillien and discussing various topics including growing up in different countries, recognising different accents in English, religious backgrounds, movie re-boots, Arnold Shwartzenegger going “nyarrrgh” and more. Fred and Alex are both stand-up comedians living in Paris who perform in English. 513. General Ramble / News / Comments – A general ramble about things like: dishwasher sounds, online clickbait, updates to the LEP app, my recent appearances on some OPP (other people’s podcasts), LEPster meetups and some responses to recent comments on the website. Notes, links & videos available. [Website-only] I was on the “Becoming Maman” podcast with Amber Minogue & Sarah Donnelly – I was interviewed on Amber & Sarah’s new podcast, called “Becoming Maman” and we talked about becoming a dad and raising bilingual children. You can listen to the interview here. Becoming Maman is a new podcast by Amber Minogue and Sarah Donnelly. It’s all about becoming a mum in France. 512. My Experiences of (not) Learning French [Part 2] Learning Language in a Classroom vs Learning On Your Own – Talking more about my experiences as a student of French, this time reading from notes I took during my French lessons (when I should have been focusing on the class!) and some considerations about learning a language in a classroom and learning on your own. Notes & transcript available. 511. My Experiences of (not) Learning French [Part 1] – Sharing my experiences of learning French (or not learning it). My French and Me – How I learned some French as a child and how I’m failing to learn it properly as an adult. Includes conclusions about language learning, immersion and the importance of motivation, habit and simply applying yourself. Notes & transcriptions available. 510. Philosophy Quiz (with Amber & Paul) – In this episode you can listen to Amber, Paul and me as we take an online quiz and try to find out what school of philosophical thought we belong to. Are we empiricists, epicurianists, existentialists, hedonists, humanists, platonists, skeptics or stoicists? Listen on to find out more and to hear a full-on discussion of life, the universe and everything! 509. What’s it all about? (Philosophy and Language Learning) – This episode is all about philosophy and how this applies to language learning. Listen to me describing 8 different ‘schools’ of philosophical thought while also considering how they relate to our approach to learning languages, and other ideas. Transcript available. 508. Six True Crime Stories from Victorian England, Told by My Dad – Learn English by listening to Rick Thompson tell some true stories of petty crimes committed in an English town in 1851. Notes and transcriptions available. 507. Learning English with UK Comedy TV Shows – Recommendations and descriptions of British comedy TV shows with some comments about how to use comedy TV shows to learn English. Transcript available. 506. One of Britain’s Favourite Poems – Listen to readings of “If—” by Rudyard Kipling, a popular poem from England. Includes analysis of the vocabulary and the themes in the poem and also a chance to enjoy the unique voice of Sir Michael Caine – with some funny impressions too. Transcript, vocabulary and videos available. 505. A Chat with Dad & James about Star Wars: The Last Jedi (with Vocabulary) – Here is the third and final part of this trilogy of episodes about the latest Star Wars film. In this one you’ll hear a conversation between my Dad, my brother and me that I recorded just after we’d seen the film a couple of weeks ago. Vocabulary explained in the episode and available on the page. 504. My Review of Star Wars: The Last Jedi (Part 2) – Continuing to talk about the latest Star Wars film at length(!) – going through the storyline and giving my thoughts on the characters, events and the audience backlash. Transcript available. 503. My Review of Star Wars: The Last Jedi (Part 1) – Talking about the new Star Wars film including the audience reaction, English accents you can hear in Star Wars, and a run-through of the plot with my thoughts about the events and characters. Plot spoilers throughout the episode! Transcript available. 502. The Birth of My Daughter – Talking about the birth of my baby daughter, including accounts of the main events and how it all felt. Listen carefully for descriptive vocabulary for describing emotions and feelings as well as the language of childbirth previously explained in episodes 491 and 492. Intro transcript available. Observations on the Paris Metro… from Inside the Metro (Listen to my appearance on Oliver Gee’s podcast “The Earful Tower”) – Hello website LEPsters! Here is some more listening you can do while waiting for the next episode of LEP. I was recently invited onto The Earful Tower Podcast by Oliver Gee (remember him from episode 495?) We recorded an episode all about the Paris Metro while riding the Paris Metro. You can listen to it here. 500. EPISODE 500 CELEBRATION! (PARTS 1 & 2) – Celebrating 500 episodes of LEP with a mega-ramble featuring lots of messages from listeners, expressions of gratitude, a cool announcement for all my listeners, some singing, some talk of becoming a dad, the future of the podcast, Star Wars, and loads of fun and good times. Thank you for listening! 499. Prince Harry & Meghan Markle / Royal Family Quiz (with Amber) – Talking to Amber about the UK’s Royal Family, including our thoughts on the upcoming wedding between Prince Harry and Meghan Markle, some royal gossip & rumours, and also a Royal Family Quiz with questions about the monarchy today and in history. So, expect to hear our thoughts and some facts about this very traitional British institution. Notes available. 498. The Rick Thompson Report: Brexit Negotiations – Talking to my Dad about the current situation with the UK’s Brexit negotiations with the EU. Listen to hear explanations of what is going on with Brexit, how Northern Ireland is involved, what motivates Brexiters and some comments about other bits of international news – all delivered by my Dad with his clear and coherent English. Notes and transcriptions available. 497. Film Club: Withnail & I (with James and Will) – Talking about a classic British film which not many learners of English know about. Listen for explanations of the film, its appeal, descriptions of the characters and events, the type of people who like the film and a few bits of dialogue too. Notes and videos available. 495. Australian Stereotypes and Cliches (with Oliver Gee) ~didgeridoo sounds~ – Discussing stereotypes and clichés about Australia with podcaster Oliver Gee who comes from a land down under. Learn about Australian English, Aussie accent, Aussie slang and exactly what you should say whenever you meet a true blue Aussie, mate! Vocabulary list available. 494. Who Wants to be Good at English? (The Rematch) with Rick Thompson – Testing my Dad on his knowledge of English, using words that are frequently confused by native English speakers. Will my dad be able to identify the words, spell them and explain the differences? Listen to learn 20 words and phrases which native English speakers often get wrong. You will also hear Dad and me discussing topics such as catching a squirrel, what he would say to Donald Trump and Paul McCartney if he met them, stories of police drug busts at university, how my dad would deal with a zombie apocalypse, and which one is worse – Brexit or Yoko Ono’s ‘singing’? Vocabulary list with definitions and examples available. 493. Catching Up with Amber & Paul #7 (Human Pollution) – Amber and Paul are back on the podcast as we catch up with their recent news and the conversation goes off on many tangents covering subjects such as: pollution and fog in Paris, a possible new word – ‘pog’, other potential new words of the year, Harvey Weinstein, wanking in the office, ‘human pollution in the swimming pool’, Paul’s recent showbiz news, seeing The Rolling Stones on stage and a slightly worrying email from a LEPster. Includes a cameo appearance by young Hugo, saying his first words on the podcast. 492. Becoming a Dad (with Andy & Ben) Part 2 – The second part of this conversation with Andy Johnson and Ben Butler, and we talk about the moment of childbirth and take a quiz about becoming a father. Vocabulary is explained in the second part of the episode. Vocabulary list available. 491. Becoming a Dad (with Andy & Ben) Part 1 – A conversation and vocabulary lesson about childbirth and becoming a father, with Andy Johnson and Ben Butler from The London School of English. Listen to Andy and Ben talking about their experiences of becoming parents, how their babies were born and more. Vocabulary is explained in the second half of the episode. Vocabulary list available. 490. Discussing Friendship – with Martin and Dan The Man from Rock n’ Roll English (Friendship Phrasal Verbs) – In this episode of the podcast I am talking to Martin Johnston and his mate Dan The Man from the Rock n Roll English Podcast and we’re going to teach you some phrasal verbs and other expressions relating to friendship, while also putting their friendship to the test. Martin and Dan are lifelong friends. They know each other very well but they spend a lot of their time bickering and getting at each other. What’s going on in this friendship? Do they really like each other or not? Let’s find out in this episode and you can learn lots of vocabulary while we’re doing it. Vocabulary list and explanations available. 489. A Rambling Conversation with Mum (Part 2) + Vocabulary – Here’s part 2 of this conversation with my Mum in which you can hear us wittering on about the bookshop where Mum works, some of the books she’s read recently, and some of her podcast and film recommendations. Vocabulary is explained at the end, and there’s a vocabulary list with definitions available. 488. A Rambling Conversation with Mum (Part 1) + Vocabulary – A conversation with my (lovely) mum in which we generally witter on about a number of different things including some British history, ways of describing rain, different expressions for talking (like rambling and wittering), my mum’s accent, what she thinks of this podcast and some of her podcast recommendations. Vocabulary is explained after the conversation and there is a vocabulary list available below. 487. Learning Languages and Adapting to New Cultures (with Ethan from RealLife English) – A conversation about travelling and learning languages with Ethan from RealLife English. Ethan is very well-travelled, having lived in at least 6 different countries. He’s also learned a few different languages to a good level as an adult. Let’s talk about his advice for adapting to new cultures and learning languages in adulthood. Vocabulary notes and language test available. 485. & 486. Difficult Words to Pronounce in English (with Paul Taylor) (Parts 1 & 2) + video –This is a double episode with two audio episodes on one page, and it’s all about difficult pronunciation in English. Listen to Paul Taylor and me discussing the tricky relationship between spelling and pronunciation. There are lots of jokes, impressions, funny accents and useful comments about this important area of the English language. Use this episode to avoid some very common mistakes in English pronunciation, and try not to laugh on the bus while you’re listening! Check this episode page for word lists, transcriptions and my video of 40+ difficult words to pronounce in English. 484. Try not to Laugh on the Bus (with Paul Taylor) – A conversation with Paul Taylor involving several cups of tea, recipes for French crepes, our terrible rap skills, a funny old comedy song about English workmen drinking tea, some improvised comedy role plays and a very angry Paul ranting about bad customer service in France! Your challenge is to listen to this episode in public without laughing out loud, especially in the second half of the episode. Good luck, may the force be with you. Vocabulary list, song lyrics, definitions and a quiz available. I was invited onto The Flat Earth Podcast, and this is what happened… [Website only] – I got into a debate with some ‘flat earthers’ – guys who believe that the earth is flat. It was pretty intense, and you can listen to it all here on this page. 483. A Rambling Chat with Moz – The second part of my conversation with my friend Moz, this time covering subjects such as podcasting vs YouTube, bathing naked in a Japanese spa, sharing personal information online (like a story of bathing naked in a Japanese spa), the role of artificial intelligence & social media, murdering mosquitoes and meeting a crack addict on the streets of London. Vocabulary list and memory quiz available. 482. The Murder Mile True Crime Podcast (with Moz) More Creepy Stories of Murders in London – My friend Moz, who runs a murder-themed tour company in London, is back on the podcast to talk about some more creepy stories of crimes from London’s history and his new podcast. Vocabulary list available. [Website content] Luke on the RealLife English Podcast – I was on the RealLife English Podcast and we talked about why I became an English teacher, doing James Bond impressions and also comedy & how to use humour in learning English. You can listen to it here and get more details about Real Life English from their website. Enjoy! 481. Holiday Diary (Final Part) “Endeavour to Persevere” – The final part of the holiday diary series. This one is about visiting the Navajo Nation, meeting some Navajo people, seeing more natural wonders at Monument Valley and The Grand Canyon, a couple of film recommendations our experience of the solar eclipse and a few more anecdotes about the rest of our road trip. Notes and transcript on the page. 480. Holiday Diary (Part 7) BIG ROCKS! – In this episode I’m going to continue telling you stories of my recent holiday and there will be descriptions of impressive rocky landscapes, a sort of geology lesson and a brief history of planet earth. Expect plenty of solid descriptive chunks of vocabulary as this holiday diary continues. Notes & script available. 479. Holiday Diary (Part 6) The Madness of Las Vegas / 11 Gambling Idioms – This episode includes anecdotes and descriptions of our short visit to Las Vegas, including stories of more rental car issues, Las Vegas craziness, winning and losing $$$ and 11 English idioms that come from gambling. Vocabulary list and definitions available. 478. Holiday Diary (Part 5) An Encounter with The Church of Scientology – More thoughts and comments inspired by things that happened during my recent holiday. In this one I’m discussing stories about the Church of Scientology and the claims that it is a cult. Listen to find out what happened in this part of my trip. Check the episode page for the vocabulary. 477. Holiday Diary (Part 4) The Fresh Prince of Bel Air – The holiday diary continues and in this chapter we visited Bel Air in L.A. and so here is an analysis of the lyrics to Will Smith’s rap from “The Fresh Prince of Bel Air”, a famous TV show (and a very serious piece of work, haha) from the 90s. Vocabulary, lyrics and definitions available on the page. 476. Holiday Diary (Part 3) Astronomy, Astrology & Flat Earth Conspiracy Theory – In this episode I talk about visiting the fantastic Griffith Observatory and then ‘go off on one’ about Astronomy vs Astrology and ludicrous flat earth conspiracy theories. Includes various bits of vocabulary throughout the episode. Check the page for notes and transcripts. 475. Holiday Diary (Part 2) Modern Art: Is it amazing, or is it rubbish? – Talking about some modern art which I saw while visiting several galleries in Los Angeles. Includes descriptions of different movements in modern art, details about some famous artists and their work, some thoughts about whether modern art is really amazing, or maybe just a load of pretentious rubbish! (Spoiler alert: it depends) Vocabulary available. 474. Holiday Diary (Part 1) New Arrival, New Destinations – I’m back from my holiday so here’s a new episode of the podcast. In this one you’ll hear me talking about some recent news (including quite a big announcement) and then an account of what we did on holiday including some descriptions, opinions and stories. Notes and vocabulary available on the page. [Website only] A History of British Pop – A Musical Tour through James’ Vinyl Collection –This is a LONG musical mix using James’ vinyl record collection, with added comments by James and me. Think of it as a musical journey through a history of British pop, all on original vinyl records. 473. Explaining the Rules of Cricket (with Dad) – Everything you need to know about the world’s 2nd most popular spectator sport, cricket. I’m joined by my Dad, Rick Thompson and we describe the rules, the appeal of the game and also some expressions in English that come from cricket. Notes and vocabulary available on the page. [Website Only] Star Wars DVD Commentary (with James) ***Contains swearing – Not suitable for Children*** – Here is a Star Wars DVD commentary by James and me. If you’re not a Star Wars fan, this might not be for you. This audio track is full of rambling, comedy sketches, impressions and descriptions of what happens in this classic film from 1977. Watch Star Wars on your TV or computer, and listen to our commentary at the same time. May the force be with you. Why does the UK have so many accents? (Recorded February 2017) – This episode was originally recorded in February 2017 and is being uploaded in August 2017. In this episode I answer several questions from listeners about accents, including how regional accents occur in the UK and why there are so many accents there. Video available. [Website content] Luke’s Criminal Past (ZEP Episode 185) – Learn some crime-related idioms and find out some things about Luke’s back-story that may or may not be true. This is an episode of Zdenek’s English Podcast, originally posted by Zdenek on 4 August. 472. Andy’s Survival Story / Why Andy Runs Marathons (with Andy Johnson) –Talking to Andy about why he runs marathons, including vocabulary relating to doing exercise, health, fitness, technique, injuries and medical care. This one contains a moving true story about recovering from a serious illness. 471. Stepping on Lego, Self-directed Learning, Accents (with Andy Johnson) Talking to Andy about stepping on Lego, Andy’s job, Andy’s new conference presentation about self-directed language learning, Andy’s accent and British/American English. I’m going on holiday – back in a few weeks! A quick episode with a few announcements about the podcast. 470. Understanding the Liverpool Accent Helping you to understand and appreciate the Liverpool accent and Scouse English, featuring clips of comedy, a short history of Liverpool and interviews with famous footballers, actors and musicians. 469. British Comedy: John Bishop Helping you to understand a comedian with a Liverpool accent – learn vocabulary, culture and accents in English. 468. Punk – Music & Culture (with James) Learn about punk music and culture from the UK, with James. 467. A Boiling-Hot Evening Ramble – Comments & Questions In my boiling-hot flat, talking about the benefits of playing football, giving encouragement to a shy new listener, some prepositions with transport, comparing formal and informal styles and commenting on the risks of using humour in emails. 466. Get this word into your life Learn lots of phrases and uses of the word GET that you heard in episodes 464 and 465. 465. How I make episodes of the podcast (Part 2) Talking about the technical side of making a podcast, with a few funny anecdotes too. 464. How I make episodes of the podcast (Part 1) Talking about the creative side of making podcast episodes, including some thoughts on how to come up with ideas and how to speak in front of an audience. 463. News, Comments & Questions Giving some news, responding to comments & questions, rambling about new shoes and getting lost in the jungle. 462. British Comedy: Bill Bailey In this episode I talk to you about one of my favourite stand up comedians from the UK. We’re going to hear some of his comedy and use it to learn English. 461. 25 Deceptively Difficult Questions (with Amber, Paul & Sarah) An episode about the tricky little questions that we use when socialising. What are the appropriate answers? What are the subtle differences? How do native speakers use these questions? Can you take the test and get all the right responses? 460. Catching Up With Amber & Paul #6 (feat. Sarah Donnelly) Conversation and language analysis with the podpals and guest Sarah. Talking about being married to a foreign person, bringing up bilingual kids, and slang from Australia and Northern Ireland. Vocabulary is explained at the end. 459. Lazing on a Sunny Afternoon Rambling on about so-called “facts” I found on the internet, while sitting in direct sunshine wishing I had beer. [Website content] I was on The Rock n’ Roll English Podcast and The Earful Tower Podcast this week Listen to my appearances on several other podcasts. 458. The Rick Thompson Report: Post-Election 2017 Talking to my Dad about the results of the 8 June general election in the UK. 457. Conclusions about Language Learning from the David Crystal Interview (Part 2) Considering the points made by Prof. David Crystal in episodes 455 and 456 and how they relate to learning English. 455. David Crystal Interview (Part 2) Questions from Listeners Talking to the world’s top writer and lecturer on the English language, Professor David Crystal. In this episode, David answers questions from listeners. 454. David Crystal Interview (Part 1) Professor of Linguistics Talking about language with one of the world’s top experts on linguistics, Professor David Crystal. 453. The 36 Questions that Lead to Love (with Amber & Paul) Listen to Amber, Paul and me answering questions designed by psychologists to help couples or friends become closer and more intimate. [Website content] I was invited onto the “English Across The Pond” Podcast and we talked about humour – check it out here. 452. A Conversation About Language (with Amber & Paul) Discussing language with Amber & Paul, including issues such as errors made by native speakers, language change, whether language standards are declining, the effects of technology on language and how to cut an avocado without injuring yourself. 451. Film Club: Alien Covenant Rambling about the Alien franchise and a review of the new film “Alien: Covenant”. 450. Comments & Questions Going through questions from the comment section with some grammar, some vocab, some reactions to recent episodes and some bits relating to how you can continue to push your English with this podcast. 449. Film Club: Touching the Void (Part 2) Learning a Language is Like Climbing a Mountain Part 2 of this Film Club episode looking at the award-winning documentary “Touching the Void” which tells the story of a mountain climbing expedition which goes wrong. Listen to this episode and then watch the film on Netflix or DVD for that extra bit of English input. Includes comments about motivation and attitude for dealing with any challenge, including learning a language to fluency. 448. Film Club: Touching The Void (Part 1) Learning a Language is Like Climbing a Mountain A film club episode about the award-winning documentary film “Touching the Void” about a mountain climbing expedition which goes wrong. It’s an amazing true story and there are lots of things to learn from it, including lessons about motivation and attitude towards any challenge. 447. What is this, British Humour? (with Amber Minogue) Talking to Amber about the subject of my recent British Council Teacher Talk. What is British humour? What does it tell us about British culture and communication style? What are the typical forms of humour in the UK? 446. British TV: Top Gear Talking about Top Gear, one of the UK’s most popular television programmes. This episode features lots of vocabulary related to cars, but a lot more too including your guide to how to speak like Jeremy Clarkson. 445. 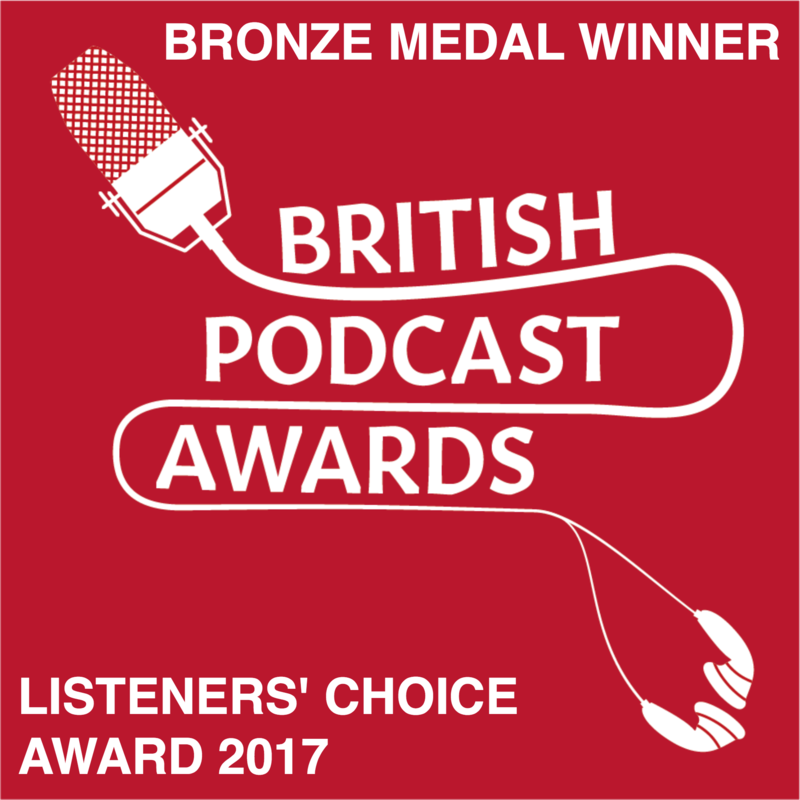 British Podcast Award / Hello to New Listeners / 17 Vocabulary Expressions LEP won the bronze medal in the Listeners’ Choice category at The British Podcast Awards. Thanks for voting! 444. The Rick Thompson Report: Snap General Election 2017 Politics is back on LEP as I talk to my Dad about recent developments in the UK, specifically the General Election which is due to take place on 8 June. 443. The Trip to Japan (Part 2) Describing my recent trip to Japan and exploring the culture of the Land of the Rising Sun. 442. The Trip to Japan (Part 1) Describing my recent trip to Japan and exploring the culture of the Land of the Rising Sun. 441. Andy Johnson at the IATEFL Conference Talking to Andy about the world’s biggest conference for English teaching, plus more conversation about millennials, advice on giving presentations and some fun anecdotes. 440. This Pile of Books on my Desk Talking about a pile of 16 (mostly) unread books which has been sitting on my desk for months. 439. Reading Books to Learn English Recommending some self-study books for improving your grammar, pronunciation and vocabulary, talking about the value of reading for your English and some ways you can use books to improve your English in general. 437. Ramble News – 31 March 2017 A rambly episode with some news from the UK, some comments, some questions, some updates about LEPster meetups in Moscow, Tokyo and London and so on. 436. The Return of The Lying Game (with Amber & Paul) [Video] Amber, Paul and I play another round of The Lying Game, in which we each tell a story and the others have to guess if it’s true or a lie. Listen for story telling, questions and general fun, plus some jokes at the end of the episode. Video available. I was interviewed on “My Fluent Podcast” by Daniel Goodson I talked to Daniel about learning French, doing LEP and plans for the future. 435. Catching Up With Amber & Paul #5 [Video] Amber & Paul are back on the podcast in this episode as we respond to some questions and comments from the website and social media. Video available. 434. Interview with Paul Taylor – “WTF France?” [Video] Interviewing Paul Taylor about his comedy projects, including “What the F*ck France” on Canal+ / Youtube and his stand-up shows #Franglais and The Paul Taylor Comedy Night. Video available. 433. British TV: Gordon Ramsay’s Kitchen Nightmares (Part 2) [Video] Learn more authentic English directly from the mouths of these native speakers in an episode of the popular British TV show “Kitchen Nightmares” with famous chef Gordon Ramsay. Videos and vocabulary lists available below. 432. British TV: Gordon Ramsay’s Kitchen Nightmares (Part 1) [Video] An introduction to one of the UK’s most famous chefs and a chance to learn some authentic English from a popular British TV show featuring Gordon Ramsay. Video available. Includes swearing. LEP on ZEP – My recent interview on Zdenek’s English Podcast I was interviewed again by Zdenek Lukas on his podcast. We talked about teaching and podcasting, including some behind-the-scenes stories of LEP. Zdenek uses his particular set of skills to analyse 50 bits of grammar, vocabulary and pronunciation from the interview. 431. Restaurants & Hotels / Really Strange TripAdvisor Reviews (with Amber) Talking to Amber about experiences in restaurants & hotels and some truly bizarre TripAdvisor reviews. 430. Discussing Language Learning & Life with Fred Eyangoh Talking to Fred about history, geography, comedy, learning English and cutlery. 429. RAMBLENEWS! An episode with some rambling about recent news, LEPster meetups, transcript project team, listener comments & questions, teaching phrasal verbs with ‘in on’ and some music. Video available. 428. British Comedy: Limmy’s Show (Part 2) Analysis of another sketch from Limmy’s Show. Listen to informal English spoken in a Glasgow accent, and understand it. 427. British Comedy: Limmy’s Show An episode analysing some British comedy, this time focusing on a couple of sketches from Limmy’s Show, an award-winning TV comedy produced by BBC Scotland. 426. Thompson, Taylor & Minogue: Victorian Detectives (Part 2) with Amber & Paul Listen to the conclusion of this mystery story in which Amber, Paul and I attempt to solve a series of kidnappings in Victorian London. 425. Thompson, Taylor & Minogue: Victorian Detectives (Part 1) with Amber & Paul Listen to Amber, Paul and me as we attempt to solve a series of mysterious kidnappings in Victorian London. 424. With Andy & Ben from The London School of English (Part 2) Talking to Andy Johnson and Ben Butler about teaching English to millennials, cross-cultural experiences we’ve had as English teachers and some funny stories about Andy. 423. With Andy & Ben from The London School of English (Part 1) Talking to Andy Johnson and Ben Butler from The London School of English about many things including teaching English for specific purposes, and a couple of funny anecdotes. 422. Learning British Dialects with Korean Billy Talking to Billy from Korea about his videos on British dialects and accents. 421. Skateboarding – A New Olympic Sport (with James) A conversation with my brother about this new Olympic sport including the history, the different types, the vocabulary and some personal stories and memories about skateboarding from childhood into adulthood. 420. Anyone fancy a brew? Let’s have a nice cup of tea! Everything you need to know about the culture of tea-drinking in the UK, including a full guide to how to make a nice cup of tea, English style. 419. Rogue One: A Star Wars Story – SPOILER RAMBLE with James Talking to my brother about the latest Star Wars film, Rogue One: A Star Wars Story. SPOILER ALERT! 418. The Rick Thompson Report: Technology and The Future (January 2017) Talking to my Dad about developments in technology in the future. 417. New Year’s Resolutions and Language Learning in 2017 Talking about typical new year’s resolutions in the UK, my resolutions about learning French, and ideas in which you can improve your English this year. 416. What was the most popular episode of LEP in 2016? + more podcast statistics An overview of how 2016 was for Luke’s English Podcast including some details about the top 5 episodes, the top 20 countries, and more statistics for the last 12 months. 415. With the Family (Part 3) More Encounters with Famous People My mum, dad and brother tell us a few more anecdotes about their encounters with some well-known people. 414. With the Family (Part 2) My Uncle Met a Rock Star Listen to my uncle Nic telling some stories about British rock stars he has met over the years, including an encounter with one of the most famous musicians in the world! 413. With The Family (Part 1) Mum’s Cooking + Vocabulary (with Uncle Nic) A conversation with my family about how to cook a delicious Turkey dinner and some vocabulary teaching. 412. British Festivals and Holidays (Part 2) An episode all about special days and celebrations in the British calendar. Cultural information and some pronunciation work. 410. Teaching 12 Idioms in the Street / On the Set of Paul’s TV Show (with Amber) Amber & I teach you 12 idiomatic English phrases while attending the filming of an episode of Paul Taylor’s TV show on the street in Paris. 409. A CHRISTMAS MEGA-RAMBLE with AMBER MINOGUE A rambling conversation with Amber about Christmas and more! 408. Catching Up With Amber & Paul #4 (+ videos) Amber & Paul are back on the podcast and we do the usual catching-up session and go off on a few tangents about Amber’s play, Paul’s showbiz life, marshmallows, microphones, tea & coffee, accents and more. There are videos for the intro and outro of this episode. 407. Reflections on Language Learning & Working as a Translator: Interview with Kristina from Russia, Winner of the LEP Anecdote Competition 2016 In conversation with Kristina from Russia, the winner of the LEP anecdote competition 2016. Talking about working as a translator and interpreter, and her experiences of learning English and other languages. 406. Grammar (Past Continuous Tense) / UK Media Bias / Brazil Football Tragedy A review of the differences between past continuous tense and past simple tense, comments on the UK media including the BBC and an overview of the newspapers, and some comments about the recent plane crash involving members of the Chapecoense football team from Brazil. 405. British Accents in The Lord of the Rings (Part 2) A closer look at the different British accents you can hear in the Lord of the Rings movies. 404. British Accents in The Lord of the Rings (Part 1) Explaining the different accents you can hear in the Lord of the Rings movies. 403. Competition Results / War Story / Grammar & Punctuation / My Dad’s Accent The final results of the LEP Anecdote Competition and some comments & emails from listeners including a war story, some grammar & punctuation (noun phrases, possessives & apostrophes) and a question about my Dad’s accent. 402. The Rick Thompson Report: What’s Going On? Nov. 2016 (Post-Truth Politics, Cricket and Tetris) Talking to my Dad about recent news, including a Brexit update, comments about post-truth politics and more. 401. ‘Switch off your editor’ to improve your fluency in English Advice about how you can use this creativity boosting technique to push your fluency in English. 400. The Pink Gorilla Story 2 Having fun in the 400th episode with another improvised comedy story. 399. The Return of Molly Martinez (with Dane Nightingale) Talking with two American friends (including Molly from episodes 198 & 199) about TV journalism, how the Internet works, the US presidential election results, California’s new marijuana laws and puffins. 398. US Election Result Ramble + Message + Song First impressions of the US Presidential Election, plus a message for my listeners and a song or two. 397. An 80-Minute Ramble Talking spontaneously about winter and some Netflix recommendations. 396. The LEP Anecdote Competition – ROUND 2 Listen to the 10 anecdotes that got through to round 2 of the competition and vote for your favourites. 395. “Have you ever…?” with Paul Taylor and Robert Hoehn Talking about life experiences and telling stories with a couple of friends. 394. OPP: Other People’s Podcasts (Part 4) Recommending some more of my favourite podcasts. You might like them too. 392. What are the most essential skills of a good foreign language learner? Exploring responses to this question on quora.com – including plenty of advice and insights into some good ways to improve your English learning. Also, a quick chat with English Robot 3000, who has been in a box for about 3 years. 391. Discussing Language, Culture & Comedy with Alexander van Walsum A light-hearted chat with a comedian friend of mine who originally comes from The Netherlands but has also lived all over the world. We talk about cultural and linguistic differences in different countries, doing stand-up comedy and getting Darth Vader’s signature. 390. The Rick Thompson Report: Hard Brexit / U.S. Election A conversation with my dad about recent news events. 389. US Presidential Election 2016 – Trump vs Clinton (with Sarah & Sebastian) Part 2 A conversation with two American friends about Donald Trump and Hillary Clinton. 387. 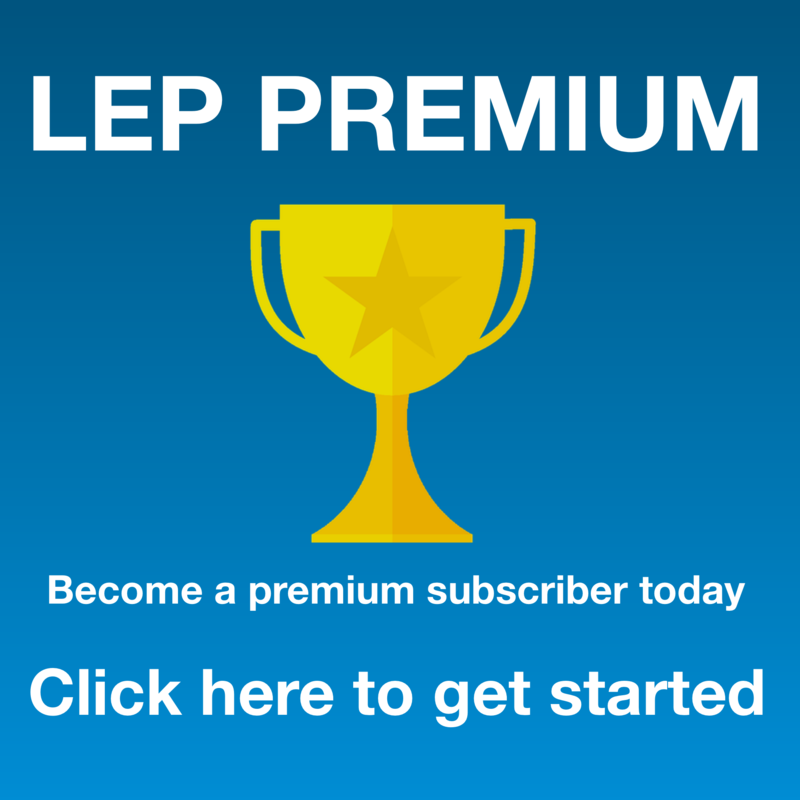 LEP Anecdote Competition Entries – Please listen & vote News about the latest competition, results of the recent podcast survey and the top countries for LEP downloads. 386. Breaking the Intermediate Plateau (Part 2) Is your learning slowing down? Finding it hard to make progress beyond an intermediate level? Listen to this episode to get lots of advice on breaking the intermediate plateau. 384. Teaching Grammar & Social English A review of some of language points I have been teaching recently including some grammar, some social English and quite a lot of silly improvisation and musical interludes. 383. More Ian Moore The second part of my chat with British writer and comedian Ian Moore. Please take my survey / Anecdote Competition / ‘Russian Joke’ Video A quick message asking listeners to take a survey about LEP, some comments about the anecdote competition and a video explaining the ‘Russian joke’. 382. Mod Culture with Ian Moore Conversation with author and comedian Ian Moore about the British ‘mod’ subculture. 381. Discussing Cultural Differences with Amber & Paul Comparing behaviour and communication styles in different cultures around the world. 380. Catching Up with Amber and Paul #3 More spontaneous conversation with podcast friends Amber Minogue and Paul Taylor. 379. The LEP Anecdote Competition Details of a new interactive competition for listeners. 378. Holiday in Thailand (Part 2) Part 2 of this description of my recent holiday in Thailand. You’ll hear more stories and descriptions including learning how to cook Thai curry, a conversation with a monk, doing yoga every day, a couple of messages from listeners and some reflections on gratitude, forgiveness and guidance. 377. Holiday in Thailand (Part 1) Stories and descriptions of my recent holiday in Thailand. You’ll hear some facts about Thailand, some descriptions of Bangkok and a few stories about funny experiences that happened while we were there. I’m going on holiday – no podcasts for a while Just to let you know that there won’t be any podcasts for a while, and some more details including a little story. 376. A Game of Mini Golf and a Pint (with James) Conversation with my brother on a sunny afternoon in an English park. We talk about playing mini golf, life in a town vs life in London, the London riots of 2011 and more. 375. The LEP Pub Quiz (with Alex Love) Listen to Alex and me testing each other on our general knowledge, including a few language-related questions. 374. Alex’s Edinburgh Fringe Report I talk to Alex about his successful Edinburgh show and we talk about aspects of culture including hen and stag parties, male strippers and The Smurfs. 373. Who Wants to Be Good at English? Listen to an evil game show, created by my evil father, for evil purposes! Just kidding – this is a tricky word-quiz designed by my Dad to help his students of journalism realise how words are often used in the wrong way. It creates some discussion about the way the meanings of words evolve over time. Can you answer the questions correctly? 372. The Importance of Anecdotes in English / Narrative Tenses / Four Anecdotes This episode has a bit of everything: useful tips for telling anecdotes, a review of narrative verb tenses, some authentic spoken anecdotes by members of my family and some vocabulary explanations. 371. In Conversation with Rob Ager from Liverpool (PART 2: Film Analysis / Hidden Meanings / Stanley Kubrick / Conspiracy Theory) Rob Ager has built his own career as a film critic on YouTube. Now he sells his own documentaries about films on his website. This conversation explores the subjects of his film analysis, hidden messages in films, the work of Stanley Kubrick and a conspiracy theory about the moon landing. 370. In Conversation with Rob Ager from Liverpool (PART 1: Life in Liverpool / Interest in Film Analysis) Rob Ager has built his own career as a film critic on YouTube. Now he sells his own documentaries about films on his website. This conversation explores the subjects of his home town of Liverpool and how he became interested in films. 369. Pokémon GO – It’s just a game, OR IS IT? Talking about this global phenomenon, including a description of the game, the pros and cons, the issues of safety, personal data and what the future could look like with augmented reality. 368. 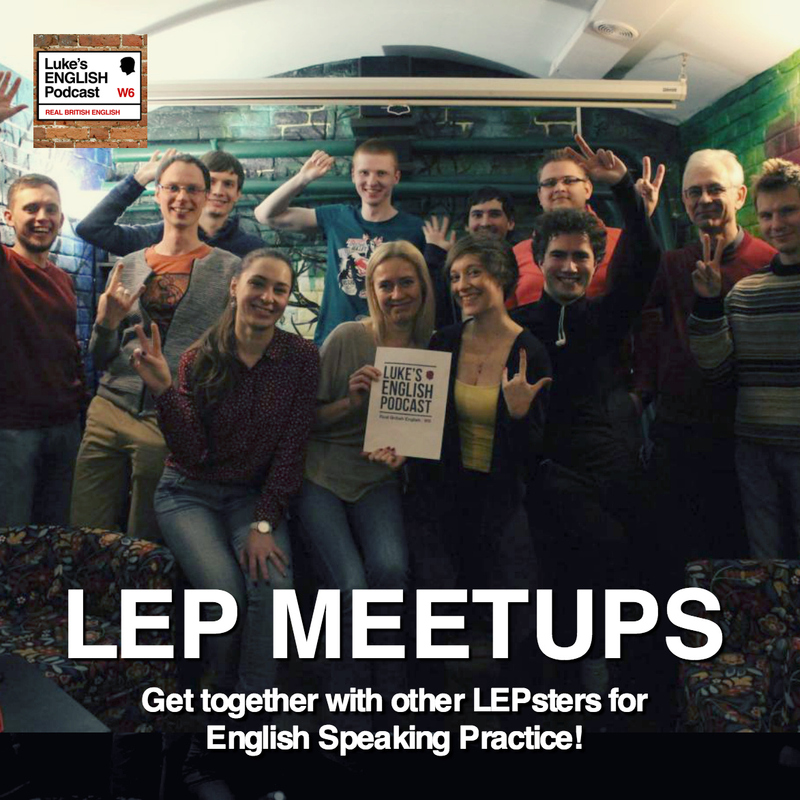 The LEP Annual General Meeting 2016 / QUESTIONS Dealing with a number of points, including a language point about time expressions such as ‘annual’ and ‘biannual’, LEP meet-ups, the transcript collaboration and a comment from a vampire. 367. Talking about Nothing with Alex Love (Invaded by Robot Aliens) PART 2 The second half of my conversation with comedian Alex Love, including references to his Edinburgh Festival show, Dogma film-making and English teaching, and my chicken dinner. 366. Talking about Nothing with Alex Love (Invaded by Robot Aliens) I talk to comedian Alex Love about his show at the Edinburgh Festival, and the Skype call gets invaded by robot aliens while we talk about portmanteau words and getting hungry and angry at the same time. Quick Hello / Notting Hill Carnival Audio Just a quick episode to let you know that I’m still here and to play you the audio track to a video I made at the Notting Hill Carnival. 365. BREXIT: 3 Weeks Later (A conversation with my Dad) An update on the situation in the UK since the EU referendum three weeks ago. Listen to my Dad give his comments and analysis. Some vocabulary is highlighted and written on the page. This is probably the last episode about politics for a while. 364. TEN TOP TIPS for Learning English Some more motivation and advice for learning English effectively. 363. Muhammad Ali & The Rumble in the Jungle A biography of Muhammad Ali and the story of one of the most dramatic and memorable fights of his career. Listen for specific descriptions of boxing techniques and comments about the historical significance of this extraordinary person. 362. Getting things off my chest! (Part 2) Brexit / Football A two-hour rant about the Brexit situation and the Euro 2016 competition. 361. Getting things off my chest! (Part 1) Brexit / Football A two-hour rant about the Brexit situation and the Euro 2016 competition. 360. THE DAY AFTER BREXIT (Thoughts and feelings) Last night the UK voted to leave the EU. Here are my thoughts and feelings. 359. BREXIT JOKES / EU REFERENDUM NIGHT The EU referendum is happening tonight, so I wanted to record some of my stand-up material that I’ve written about Brexit and make some predictions. 358. Fête de la Musique / World Music Festival in Paris Join my wife and me as we walk around our local area in Paris during the annual music summer solstice music festival. You’ll hear commentary, interviews, live music and Luke singing Luther Vandross! 357. Learning Languages with Olly Richards Another conversation with Olly, who is a polyglot from England. Olly speaks 8 languages and has lots of good advice for learning languages. In this conversation we talk about accents, pronunciation and other considerations in learning English. 356. News / Football / Brexit / Events in the UK / Jo Cox Some more news and views about the EURO 2016 football, the EU referendum and recent tragic events involving Labour MP Jo Cox who was murdered in England this week. 355. EURO 2016 Football: Hooliganism & Violence in Marseille / England vs Russia Discussing the European Football Championship which is happening in France, including some descriptions of the violence between English and Russian football hooligans and the match between England and Russia. 354. Would You Rather…? (with Amber, Paul & James Simpson) I am joined by podcast friends Amber, Paul and James Simpson. You’ll hear the results of the interactive lying game from episode 343, then we play a speaking game which involves asking each other some ridiculous hypothetical questions, just for fun. 353. Award Ceremony / Paris Weather / Crazy Idea Some news and general rambling about the ELTon awards, floods and lightning in Paris and a crazy idea about doing live podcast recordings in different locations around the world. 352. BREXIT: Key Vocabulary and Concepts I explain and clarify some important vocabulary relating to the Brexit debate. 351. BREXIT: Should the UK leave the EU? (A Conversation with my Dad) I talk to my Dad about the UK’s referendum on EU membership. We discuss some of the main issues and arguments and give our personal opinions. 350. Film Club: X-Men Apocalypse (Review) An episode of Luke’s Film Club. This time I’m making fun of the new X-Men film. Listen for a film review, some comedy and some improvised comments about the X-Men. 349. Who’s the best superhero? (with Paul Langton) My mate Paul used to collect comic books so he knows all about superheroes. I asked him to describe the main characters from the Marvel universe and then decide which one is the strongest. Watch out for descriptive vocabulary to describe personal qualities, abilities and weaknesses. 348. Film Club: Marvel / Captain America Civil War (Part 2) Talking about Marvel comic book movies, superheroes and a review of a new Captain America film. 347. Film Club: Marvel / Captain America Civil War (Part 1) Talking about Marvel comic book movies, superheroes and a review of a new Captain America film. 345. 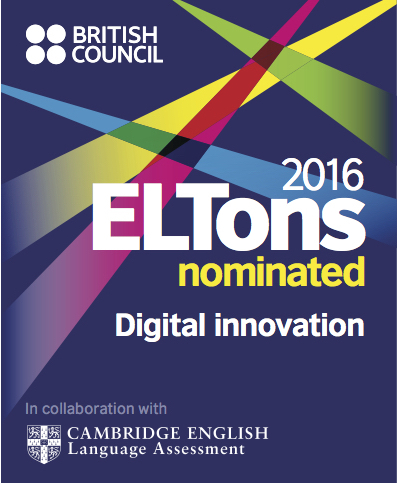 ELTon Award Nomination / Phrasal Verbs & Idioms / Brooklyn / The Revenant / Museum of Natural History & More News about an award nomination for LEP, a movie review of The Revenant with Leonardo DiCaprio, a trip to Brooklyn, an adventure in the American Museum of Natural History and some phrasal verbs and idioms to look out for. 343. The Interactive Lying Game (with Amber & Paul) / Descriptive Adjectives with T / Three is a Magic Number Amber, Paul and I play the lying game based on questions from listeners. I go through some descriptive adjectives beginning with T to help you come up with a superhero team name for the three of us, and there’s a song about the magic number 3. 342. Paul’s “La Bise” Video Success / Audition Story (with Amber & Paul) Amber & Paul and I talk about Paul’s hit youtube video about French kissing habits, his newfound success as a stand-up (he’s the hottest kid in town), some online abuse he’s had and then an anecdote about an audition that we attended recently, which involved a surprising misunderstanding about accents. There’s also a brief language focus on using relative clauses with ‘which’ to extend your sentences when speaking. Enjoy! 341. Catching Up With Amber & Paul, Again Listen to a natural conversation between native speakers of English. This episode features the return of podcast friends Amber & Paul as we sit on the terrace in the sunshine, catch up on news and respond to comments from listeners to the podcast. 339. A Murder Mystery Detective Story (Part 2 of 2) Here’s the conclusion of this two-part mystery story in English. Listen to the murder mystery story, analyse the evidence, solve the crime and learn English while doing it! I was interviewed by Olly Richards on his podcast, called “I Will Teach You a Language” and we talked about language learning If you enjoyed episode 332 of LEP you should listen to this one too. It’s available on Olly’s website (links provided in this post). Olly asked me about what I’ve learned after teaching English for 15 years and podcasting for 7 years. Together we reflect on how attitude, time, practice and material are crucial in learning a language effectively. 337. MURDER MILE WALKS: Stories of London’s Most Infamous & Shocking Murders [Some Explicit Content + Swearing] Conversation about swearing on TV, followed by some gruesome true stories about crimes from London’s history. Not for the faint-hearted! [VIDEO] I was invited onto Craig Wealand’s weekly Blab, and we talked about comedy This is a video of the conversation I had with Craig Wealand and some of his listeners on Blab recently. We talk about comedy and humour. 336. Drinking Scottish Whisky at a German Business Meeting While Wearing a Kilt and Playing a Flute… and other stories (with Carrick Cameron) A conversation with a friend about Scottish and English accents, kilts, scotch whisky and some funny stories about drinking experiences in different countries. 335. VOCABULARY REVIEW: Phrases & Expressions from Episode 334. A chance to fully understand words and phrases you heard in episode 334. I clarify and explain lots of vocabulary, and have some fun with the examples. 334. Interview with Craig Wealand (from InglesPodcast) A relaxing conversation with a fellow English teacher and podcaster who lives in Spain. My interview with school kids from IES School in San Fernando, Spain I was invited onto a school radio show in Spain and was interviewed by a group of children. Listen to their questions and my answers. I think it’s quite sweet! 333. More Misheard Lyrics ♬ Have fun listening to some more songs with ambiguous sounding lyrics. What are the singers of these songs really saying? 332. Olly Richards: English Polyglot – Top Advice and Strategies for Language Learning An interview with a professional polyglot. Listen to hear some top tips for learning another language as an adult. Tons of motivation and inspiration for pushing your English even further. 331. How’s your English? (and why speaking is so important) Instructions on how you can push your English to new levels with LEP, and some details about my new sponsor – italki, which is a really great service that you can use to arrange conversations with native English speakers online from the comfort of your own home, and why as a listener to this podcast, you should check it out. Full transcript available. 330. Let’s Play… Grand Theft Auto 5 (and learn some English while doing it) A multitasking episode in which I play GTA5 and describe what’s happening, and talk about the history of Grand Theft Auto. 329. A Rambling Chat with James (News, Stories, Jokes) My brother visited me in Paris and while he was here we recorded this conversation in which we talk about differences between London and Paris, doing stand up comedy for the first time, the EU referendum, the US presidential elections, Donald Trump, Hillary Clinton, Bernie Sanders, eagles vs drones, mosquitos and why women yawn more than men. Also, Jim tells his talking dog joke. 327. The LEP Photo Competition – Please check out the photos and vote Learn some key vocabulary and grammar for describing photographs, and check out photos of people around the world listening to LEP in different situations. 326. Catching up with Oli / Future Predictions (Part 2) A chat with my cousin Oli about the future and the arrival of his new baby daughter. What will the world be like for her in the next 10-20 years? What kind of father will Oliver be? 325. Catching Up with Oli / Future Predictions (Part 1) A conversation with my cousin Oli. We talk about some difficult experiences he’s had over the past few years, and then look to the future. 324. David Bowie (Part 2) Everything you need to know about British musician David Bowie. 323. David Bowie (Part 1) Who was David Bowie and why was he such a significant artist? What did he mean to me personally, and how did I feel when he died this week? 322. With The Thompsons Listen to to some warm conversation with my Mum, Dad and brother at Christmas time. 321. Star Wars Episode VII: The Force Awakens – SPOILER REVIEW I’m joined by my brother and we have a very geeky conversation about the new Star Wars film, with all our fan theories and favourite moments. Warning: Spoilers! 320. 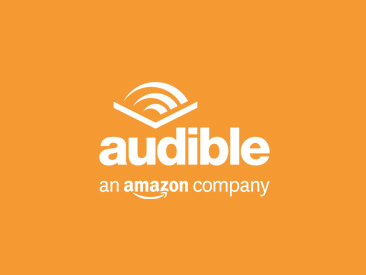 A Christmas Carol by Charles Dickens Listen to me read a version of this classic Christmas story. 319. Star Wars VII: The Force Awakens – Reaction (No spoilers!) Join me as I walk to the cinema to see the new Star Wars film and then listen to my friends and I giving our reactions afterwards. No spoilers. 318. The Rematch (Part 2) with Amber & Paul Listen to your favourite podcast guests play another speaking game and try to guess if we’re lying or telling the truth. 317. The Rematch (Part 1) With Amber & Paul Will Paul finally win a game on this podcast? Listen to find out. 316. British Comedy: Tim Vine (Part 2) More jokes from comedian Tim Vine, explained. 315. Do me a favour – Take my Business English Survey! 314. Luke’s Guided Sleep Meditation Follow every word I say and I will help you to fall into a deep and relaxing sleep, if you can stop laughing. 313. British Comedy: Tim Vine Understand a comedy routine by celebrated British comedian Tim Vine. Can you understand all his jokes? Let me help you. 312. The Words of the Year (Part 3) Amber, Paul and I talk about some new words which were added to the Collins dictionary this year. 311. The Words of the Year (Part 2) Learn some new language, and listen to some discussions and anecdotes related to these words. 310. The Words of the Year (Part 1) In all 3 of these episodes I explain and clarify a lot of what we say in these funny conversations so that you can learn, laugh and understand everything. Attacks in Paris Paul Taylor was just a few meters away from one of the shootings that took place in Paris this week. He tells me all that he saw and what happened. 309. The Lying Game (Part 2) With Amber & Paul Here’s part 2 of this speaking game with Amber and Paul. Listen until the end to hear me explain how I use this game in my English classes (hello teachers). 308. The Lying Game (Part 1) With Amber & Paul Amber, Paul and I play another speaking game. Can you guess if we’re lying or telling the truth? Listen carefully. 307. The Mystery of Corporate Jargon & Management Speak (Part 2) I’m joined by Paul Taylor as we discuss specific words and phrases used in the world of business. 306. The Mystery of Corporate Jargon & Management Speak (Part 1) Why do people use these phrases, and why do so many people hate language like this? And, what is bullsh*t bingo? 305. Back To The Future (Part 2) Talking about time travel and the complex paradoxes of the story of Back to the Future. 304. Back To The Future (Part 1) It’s Back to the Future day, so this episode is all about one of my favourite films of all time. Let’s review the plot of this classic film. 303. The Battle of Britain What happened over the skies of England during World War 2, and how were Polish fighter pilots involved in Britain’s survival against the nazis? 302. Bad Dentist / Star Wars / Adam Buxton / Headphone Jams / Jarvis Cocker More news, stories and fun stuff for you to listen to. 301. David Cameron & The Pig / Bad Gig Story / Who is Ronnie Pickering? Some news about the UK, some anecdotes and funny nonsense. 300. EPISODE 300 (PART 2) Listen to messages from previous guests on LEP, some fun impressions of famous characters and more. 300. EPISODE 300 (PART 1) I can’t believe I’ve done over 300 hours of Luke’s English Podcast! 299. The Bank Robbery (Part 2) Listen to native speakers planning a bank robbery in this fun simulation. 298. The Bank Robbery (Part 1) A speaking exercise with native speakers. How will Amber, Paul and Sebastian plan the perfect bank robbery? 297. Using Humour in the IELTS Speaking Test (With Jessica from All Ears English) Some very useful advice for the IELTS speaking test with Jessica from AEE podcast. Give your speaking some personality and humour. 296. Learning Comedy is like Learning a Language A conversation with Paul Taylor about his experiences at the Edinburgh fringe festival, and how learning to do comedy is similar to learning to speak a foreign language. 292. California Road Trip (Part 5) featuring an interview with A.J. Hoge from Effortless English. 288. California Road Trip (Part 1) A journey through California, with history, stories, American & British English, analysis of song lyrics, book recommendations and more! 287. VOCAB BATTLE!!! WITH AMBER & PAUL (exciting title) Fun and games with Amber, Paul and some natural English expressions. 285. Ten More Fixed Expressions A funny episode in which I test Paul Taylor on his knowledge of vocabulary, and we teach you some more expressions. An Experimental Live Video Podcast on Periscope Have a look at this video of me on Periscope. 284. Questions from Tea4er.ru (Part 2) Some more questions from Russian teachers and students. 283. Ten Fixed Expressions A fun game in which I test Paul Taylor’s vocabulary and we teach 10 natural expressions. 282. Questions from Tea4er.ru Some questions from Russia on a variety of topics. 281. Misheard Lyrics A funny episode in which we listen to some song lyrics and try to understand exactly what the singers really mean. 280. The UK’s Favourite Superstitions An episode about the most common superstitions for people in the UK. 279. Marcus Keeley / Northern Ireland / Accent (Part 3) An interview with comedian Marcus Keeley about accents that you can hear in Northern Ireland – learn what a Belfast accent sounds like. 278. Marcus Keeley / Northern Ireland (Part 2) Talking about life in Northern Ireland, the part of the UK that foreign people don’t often visit. 277. A Chat with Marcus Keeley from Northern Ireland (Part 1) A conversation with comedian Marcus, who comes from Northern Ireland. Survey: What kind of episodes of LEP do you prefer? 276. Q&A Session #5 More questions about English from LEPsters, answered by Luke. 274. Q&A Session #4 I answer more questions from LEPsters. 273. The Bad Haircut Situation Part 2: More Role Plays & Improvisations Amber, Paul and I do some improvised comedy and demonstrate ways of dealing with awkward situations in English. 272. The Bad Haircut Situation How should you give compliments, accept compliments and give bad news politely in English? Listen to this funny discussion to hear what Amber, Paul and I think. 271. Catching Up with Amber & Paul A really funny and friendly conversation with my friends Amber and Paul on a very hot and sunny day in April. 270. UK General Election RESULTS What happened? Who won? What does the results mean? 269. UK General Election 2015 (Part 2) Who is going to win the next election, and how will that affect the UK? 268. UK General Election 2015 (Part 1) Everything you need to know about UK politics and this big moment for the UK. 267. Earthquake in Nepal + other news Please consider helping the victims of the earthquake. Luke’s TV Appearance on France24 I was on TV talking about the UK’s general election. It was a bit awkward. 266. Telling Jokes in English (Part 3) Understand the psychology of jokes, and listen to some more jokes and their explanations. 265. Telling Jokes in English (Part 2) What are some typical joke structures? What makes a joke funny? Listen to lots of jokes, and understand their meanings. 264. Telling Jokes in English (Part 1) What are jokes? How do we tell jokes in English? How do you respond to jokes? 263. Past, Present & Future A chance to really understand the tenses in English, with lots of context. A Message from Luke Just a little letter from me to you. 262. What is Britishness? (Part 2) Exploring notions of British identity – how do British people define their own identity? 261. What is Britishness? (Part 1) Exploring notions of British identity – how do people view the UK from the outside? 260. Kingsman: The Secret Service This is a review of an action movie set in the UK. 259. Eulogy for Dennis My grandfather Dennis died, and this is my tribute to him and his life. 258. Award Win / Thank You / Poem I won another competition (thanks to your votes) and so I wrote a poem to express my gratitude. 257. Be Positive A rambling episode about why it’s important to think that the cup is half full. 256. Reading Books in English (and listening to them too) How reading books, or listening to audiobooks can really help your English. 255. Taken 3 / Expressions with ‘Take’ I saw the latest Taken film, and this is what I thought! Also, learn some vocabulary with the word ‘take’. 254. IELTS Tips & Tricks Lots of advice for people who are taking the IELTS test. 253. Rapping with Fluency MC! An interview with Jason Levine – the English teacher who uses hip-hop to teach English. I ask Jason about his teaching methods Jason does some rapping, live on the podcast. And you’ll hear me rapping on the podcast too. WORD. 252. Marooned With My Music: James Thompson An interview with my brother about his life and his favourite music. 251. Welcome to LEP / 16 Things You Should Know about LEP An introduction for new listeners to this podcast. 250. Marooned With My Music: Gill Thompson An interview with my Mum about her life and her favourite music. 249. News / LEP Merchandise / Messages Some news about LEP, and how you can buy merchandise with the LEP logo. 248. Marooned With My Music: Rick Thompson An interview with my Dad about his life and his favourite music. 247. Understanding The USA An in-depth and humourous discussion about the USA with Sebastian Marx. The aim of the episode: understand American values in more depth. 246. Flight Stories Let’s listen to some funny stories about travelling by plane, and understand why the stories are funny. *Video – One of Luke’s Stand-up Comedy Gigs A video of me performing stand up comedy. 244. Urban Myths What are some common urban myths and strange beliefs, and are they true or false? 243. A Life-Changing Teaching Experience in Ghana An interview with my friend Mike Bruce who recently was part of an amazing training mission in a remote part of Ghana. 241. Star Wars Everything about the films I have loved since I was a child. 240. Politicians Avoiding Questions Let’s listen to the way politicians avoid difficult questions in interviews. 239. Prepositions: Verb Collocations More detailed information about prepositions in English, focusing on collocations with verbs, and then an improvised story featuring lots of ‘verb + preposition’ collocations. 238. Prepositions (Part 1) An introduction to prepositions in English. 236. OPP: Other People’s Podcasts (Part 1) I recommend some of my favourite podcasts. *My Appearance on the Talk2Learn Chatcast I took part in a discussion on the chatcast. 235. British Slang (N to Z) Learn some slang, rude words and aspects of British culture. 234. Making “Choons” with My Brother Talking to my brother about how he makes music. 233. YEP! Winner A conversation with Edgar from Mexico, who won my recent podcast competition. 231. YEP! Runners Up (Part 1) Some chat by Skype with podcast listeners from around the world. 230. Can You Learn a Language in 6 Months? We analyse and discuss a TEDx talk by Chris Lonsdale and evaluate the question – is it really possible to learn a language in just 6 months? 229. Zombies! (Part 2) Listen to me take a zombie survival test, with a language focus on conditional sentences. 228. Zombies! (Part 1) A halloween special about zombies in popular culture. Why are there so many zombie movies and TV shows? What is the significance of zombies in our culture? 227. Sausages, Barcodes & Apple Watches A ramble challenge – can I keep talking, with no preparation, for 30 minutes without pausing or repeating myself? *My Video Interview with Gabby Wallace from “Go Natural English” Gabby interviewed me for her YouTube project. 224. Pronunciation: Verb Tenses & Connected Speech Learn how native speakers really pronounce sentences in different tenses. *Please Consider Donating to Lepra.org.uk A recommended charity. 223. YEP! Competition Winners Who won the YEP competition? 222. Luke’s Late Night Podcast Join me as I do a live DJ set while talking about the music I’m playing. *Video: Playing Around with Accents in English A video of me copying various accents in English. 220. A Cup of Tea with Corneliu Dragomirescu An interview with film-maker Corneliu about learning English, growing up in Romania and his love of movies. 219. Scottish Independence Everything you need to know about the Scottish independence movement, some Scottish accents and arguments for & against Scotland leaving the UK. 210. A Cup of Tea with Noman Hosni An interview with the very funny Swiss/Iraqi comedian Noman Hosni who shares his hilarious experiences of learning English and travelling to London to perform comedy. 208. Travelling in Indonesia (Part 1) A full account of my adventure in Indonesia with my girlfriend. 207. Competition Inspiration Some ideas for my listeners. 206. Summer in London (Part 2) Let’s visit some of my favourite areas in central London, and discover some funny little details that you might not notice if you’re a tourist. 205. Summer in London (Part 1) Join me as I walk around the streets of central London on a hot summer day in August. 203. The Flatmate from Japan An interview with my old flatmate from Japan, Peter from Manchester. What’s it like for a British ex-Pat living in Japan? 202. British Comedy: Monty Python & The Holy Grail One of the UK’s favourite comedy films, explained. Learn about politics, British mythology, monarchy and anarchy all at the same time! 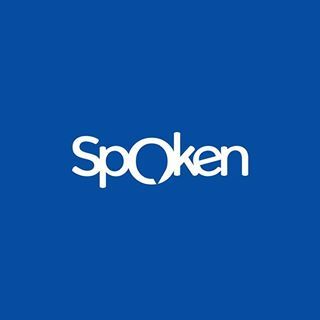 *My Interview on Zdeněk’s English Podcast I was interviewed by superfan and podcaster Zdenek on his podcast. 201. Nikolay Kulikov: A Russian Comedian in London An interview with a Russian stand up comedian who travelled to the UK and Ireland to perform stand up comedy. What does he have to say about learning English, Russian stereotypes and real life in the UK? 200. New Competition: “Your English Podcast” Announcing a new competition for listeners to this podcast. 199. The UK/USA Quiz Molly and I test each other on our general knowledge of the USA and the UK – do you know the answers to our questions? 198. A Cup of Tea with Molly Martinez A fun conversation with comedian and writer Molly Martinez from the USA. 196. Cycling from Coast to Coast Another interview with Ben Fisher from Lincolnshire, who this time has cycled the whole length of France. What happened during his adventure? Listen to find out. 195. British Comedy: Monty Python’s Flying Circus A more detailed introduction to Britain’s favourite comedy group, and an explanation of the classic Dead Parrot Sketch. 194. World Cup 2014 (Part 5: More Forum Comments) Comments from listeners about the world cup. 193. Culture Shock: Life in London (Pt.2) Dealing with common problems experienced by foreigners visiting London. 192. Culture Shock: Life in London (Pt.1) Explaining some strange aspects of life in London. 191. Culture Shock: The 4 Stages How does it feel to have culture shock? How can you deal with the experiences of living in another country? 187. World Cup 2014 (Part 1: The Basic Guide) A special series about the World Cup. 186. Understanding Culture Shock with Lindsay & Gabby I’m joined by Lindsay and Gabby from All Ears English and we talk about culture shock experiences. 185. The Trip to New York A full account of my short holiday in the Big Apple. 183. Luke’s D-Day Diary Join me as I travel to Normandy in northern France to take part in the D-Day commemoration and meet Eddie Izzard. 182. Learning English with Yacine Belhousse A chat with the hilarious French comedian Yacine Belhousse about learning English and performing stand up comedy in another language. *My Interview on the All Ears English Podcast – Talking about humour, comedy and how to tell jokes in English I was featured on the All Ears English podcast with Gabby and Lindsay, talking about telling jokes and being funny. You can listen to it here. 181. Vocabulary & Expressions from Episode 180 Lots of vocabulary and other explanations of language you heard in episode 180. 180. How my Brother Dislocated his Shoulder (with James) A conversation with my brother James about how he dislocated his shoulder in a skateboarding accident. 179. The Ramblings of an Exhausted Teacher I’m exhausted after a sleepless night and countless hours of exam marking – what has happened to my mind? 178. I’m Still Here A rambling episode in which I give you some recent news and talk about various things. 177. What Londoners Say vs What They Mean Here are some of the typical things that Londoners say, and explanations of what they really mean. 176. Grammar: Verb Tense Review A complete review of all the main verb tenses (past, present and future) in English. 175. The Phrasal Verb Chronicles #1 An improvised story featuring 50 phrasal verbs that I’ve taught in my other podcast “A Phrasal Verb a Day”. 174. How to Learn English with Luke’s English Podcast Some top tips for using this podcast to improve your English, and a tour of my apartment. 173. The Curse of The Lambton Worm A fantasy story from English folklore, improvised on the podcast. 172. British Comedy: Peter Cook & Dudley Moore An introduction to British comedy legends Pete & Dud. 171. A Cup of Tea with Daniel Burt (Part 2) More conversation with Daniel about Australia, Australian accents and typical Australian English. 170. Basking in My Moment of Glory LEP won another competition! 169. A Cup of Tea with Daniel Burt (Part 1) An interview with a comedy writer from Australia. 168. Please Vote! (and stuff like that) Asking you to vote for me in another competition. 167. Memory, Mnemonics & Learning English Techniques for improving your memory for effective language learning. 166. The Prawn Story A funny improvised story about a prawn who gets lost in the ocean. 165. English Premier League Football A chat with my mate James Simpson about English football. 164. Transcript Collaboration How writing transcripts for L.E.P. is good for everyone! 163. Skype Chat with My Brother I talk to James over Skype about some of his favourite British films. 162. Having Babies: Vocabulary / A Male Perspective Vocabulary for talking about babies and childbirth, and some comments from the male point of view. 161. She’s Having a Baby An interview with Amber Minogue, pregnant with her first child, about pregnancy and childbirth. 160. The A to Z of Christmas I’m joined by Raphael from Liverpool as we chat about everything you need to know about Christmas in the UK. 158 & 159. A Cup of Christmas Tea with… Paul Taylor The first time Paul Taylor has been on the podcast. Paul’s a comedian who works for Apple. We get to know Paul and talk about typical Christmas in the UK. Paul and I copy different accents in English. 157. A Cup of Coffee with… Sarah Donnelly (Part 2) Sarah answers listeners’ questions from Facebook. 156. British Comedy: Ali G An introduction to the hilarious British comedy character Ali G.
155. A Cup of Coffee with… Sarah Donnelly An interview with American comedian and language teacher Sarah Donnelly. 154. British Slang (H to M) Learn some more British slang phrases, and find out more about the real UK. 153. The Talking Dog Story Another funny improvised story, this time about a talking dog. *Doctor Who Episode – Language Analysis A guest blog post with language analysis of an old episode of LEP. All done by top English teacher Richard Gallen. 151. Google Questions I try to answer some of strange questions that people have typed into the Google search engine. 150. British Slang (D to G) Learn some British slang phrases, and learn more about the real UK. 148. British Slang (A to C) Learn some British slang phrases, and learn more about the real UK. 147. Idioms and Expressions from Episodes 145 & 146 Lots of idiomatic language and other vocabulary from the previous two episodes, explained and clarified. 145. Nightmare Teaching Experiences (Part 1) Some stories about difficult teaching experiences, and what I learned from them. 144. The Chaos of English Pronunciation The poem which almost nobody can read because it contains all the most difficult-to-pronounce words in the English language. I (try to) read it. 143. A Cup of Tea with… Robert Hoehn A (slightly controversial) conversation with my American friend Robert from Minnesota! 141. The Annual General Meeting (Part 1) A (simulated) meeting with stakeholders in LEP. Discussion and funny rambling on different topics. 140. Ghost Stories Some strange, scary and mysterious personal accounts of ghosts and the unexplained. 139. Hard Driving Vocabulary about cars and driving, all taught while driving a Mini through Paris. 137. Discussing Movies (Part 1) Discussion about movies with a film studies student called Henry, with vocabulary for discussing films. 136. Cycling from London to Paris An interview with Ben Fisher – a cyclist and his story of cycling through England and France. 135. Raining Animals “It’s raining cats and dogs” – Do Brits usually say this? Vocabulary for talking about heavy rain, and discussion on the phenomenon of animals falling from the sky. 134. The Story of Salvo An interview with some friends about the rise and fall of our punk rock band. 133. Hip-Hop Lyric Analysis Talking about hip-hop music and discussing the lyrics to the track “My Mind’s Playing Tricks On Me” by Geto Boys. 132. Pronouncing ~ed Endings (with Added Romance and Horror) How to pronounce -ed Endings in English, and a funny romantic story (with a bit of horror too). 131. Rickipedia My Dad, Rick, answers questions from listeners on Facebook. 130. A Cup of Tea with… Sebastian Marx An interview with American comedian Sebastian Marx, about learning French and what it’s like to be an American in Europe. 129. A Cup of Tea with… Pierre Gaspard An interview with a French friend about how he learned English so well. 128. Luke’s Stand-Up Comedy Show Listen to me doing 25 minutes of stand up comedy on stage in Paris. *Mini Podcast – Feeling Nervous Just some vocabulary about feeling nervous. 127. Computer Games My personal history of computer games, from the earliest games like Pong and Space Invaders, to modern classics like Zelda and GTA5. 126. Your Emails, Comments and Questions I answer more questions from listeners about English and other things. 125. The Pink Gorilla Story A funny story about a pink gorilla, completely improvised! *Another Award-Winning Year! I won another award for Luke’s English Podcast! 124. James Bond Discussing the cultural phenomenon of OO7, with some vocabulary. 123. What’s Been Going On? Some descriptions of recent news events. 122. The End of the World? Debunking some of the conspiracy theories about the end of the world. 120. Americanisms Why do Brits have a problem with the way Americans use English? 118. Sick in Japan The true story of how I ended up sick in a hospital bed in Japan. 117. Psychics / Cold Reading / Barnum Statements Some sceptical discussion of mind reading and psychics, with some interviews. 116. Could it be you…? Does the profile I’m reading in this episode sound like your personality? 115. A Chat About Music James and I drink some beer and interview each other about our musical memories. 114. Twelve Natural Expressions Some fun conversation and vocabulary teaching. 113. Setting The World To Rights A deep discussion in a pub with my colleague Eamon. 112. Vocabulary Review – Episodes 1-11 A chance to review some of the vocabulary from the first 11 episodes of this podcast. *110. A Letter from Luke Another note from me to you. 109. Friday Night Banter (aka The Slightly Drunk Episode) Slightly drunken nonsense and fun with my comedy mates Alex, Paul and Moz. *London Olympics 2012 (Video) Interviews with Londoners at the 2012 Olympic Games. 107. Messing Around with Accents and Voices Kate and I have fun copying lots of different accents and discussing accents and voices in general. 104. Brighton Fringe Festival #1 A funny series of episodes with comedians Alex Love, Paul Langton and Moz, recorded at the Brighton Fringe Festival. 103. The Queen and The Royal Family I answer lots of common questions about The Queen and the recent diamond jubilee. 102. Competition Winners Who won the LEP competition? *101. A Note from Luke A letter from me, with some recent news. 100. Going To The Pub Everything you need to know about going to the pub in the UK! With James. 99. The Rotary Sushi Bar of English Another ramble challenge! This one features lots of thoughts about food from around the world. 97. Luke vs Oliver (Part 1) Comparing, contrasting and discussing many different things, with Oliver. 94 – 96. Competition Entries Listen to competition entries from some listeners around the world. 93. Weird… or just different? A discussion with James and Aaron about cultural differences around the world. 91. The A to Z of Random Thoughts A funny ramble about many different things with topics from A to Z. 90. Competition + Phrasal Verbs A, B + C Details of a competition and some phrasal verbs. 89. A Day In The Life A description of my typical daily routine, in immense detail. 88. How To Play The Drums Learn the rudiments of playing the drums like a rock star, in English. 87. 6 Idioms and 6 Phrasal Verbs Oli and I teach you some vocabulary. 86. Criminal Law A discussion with my cousin Oli about a complex and mysterious criminal case. 85. A Stand-up Comedy Gig Listen to me talk about how it feels to perform stand up comedy. 84. Luke’s English Braincast A discussion with my brother about recent news stories. 83. How to Swear in British English – VERY RUDE CONTENT The complete guide to all the rudest words in British English! 82. Voting / Elections / Politics / Government Vocabulary and information about the political system in the UK, and a comedy sketch. 81. What Makes a Great Teacher? A guest-post and audio episode about good teachers. 80. Essential Social English Some of the most important things you need to know in every day situations in English. 79. Family Arguments and Debates Listen to my family playing speaking games and discussing various topics. 78. Christmas – It’s all about Family A funny conversation with my brother about Christmas and lots of other things. 77. Bear vs Shark Some speculation about an imaginary fight between two evenly matched opponents, and a stand up routine. 76. Mind The Gap – How to use the London Underground The real Londoner’s guide to everything you need to know about using the tube. 75. Not a Distraction! Rambling on about various things, including the benefits of listening to LEP. 74. UK Royal Family Opinions – English Interviews in London Interviews with native speakers in London about the royal family. 73. Steve Jobs All about Steve Jobs, recorded the day after he died. Why was Steve Jobs such a success? 72. The Cheese Episode Another ramble challenge for fun! 71. The Ice Cream Episode A ‘ramble challenge’ in which I have to keep talking (rambling) for as long as possible without any preparation. 70. Language and Music An interview with Francis – guitarist and language teacher – about the connections between learning music and learning a language. 69. Common Errors / Typical Mistakes Some of the most common errors I’ve ever heard as a language teacher, and their corrections. 68. Childhood / Growing Up / School Days – Phrasal Verbs and Expressions Talking about childhood experiences, with a language focus on phrasal verbs and other vocabulary. 67. Cockney / London Accent Listen to an interview with a cockney actor and learn about his accent. 66. Top Advice for Learning English / Idioms with ‘say’ / Culture Shock Some advice for learning English, some more idiomatic expressions and some comments about culture shock. 63. German and British Cultural Identity – Paco Erhard interview part 2 More conversation with Paco about Germany and Britain, and cultural stereotypes. 62. Learning English – Advice from a German comedian living in London An interview with Paco Erhard a German stand up comedian who speaks really good English. 61. 127 Hours / ‘Hand’ Idioms All about the movie directed by Danny Boyle, the true story of the film and idioms with the word ‘hand’. 60. The King’s Speech / ‘Mouth’ Idioms All about the Oscar winning movie with Colin Firth about King George VI, an interview with a stammerer, and some idioms related to the word ‘mouth’. 59. Billy Connolly Interview / More Scottish Accent Listen to an interview with Glaswegian comedian Billy Connolly and consider his accent. 58. Scotland / Scottish Accent An interview with Leslie about Scotland and the way Scottish people speak English. 57. Birmingham Accent / 12 Phrasal Verbs with the letter ‘A’ An interview with my friend Neil, comments about the Birmingham accent and some phrasal verbs. 56. British Accents and Dialects Lots of information about the different accents you can hear in the UK. Listen to me copy accents from around the country. 55. Mini Podcasts Collection 1 A selection of short recordings about budget cuts, a haircut, Banksy and how to make a good cup of tea in the UK. 54. Halloween / Guy Fawkes Night Cultural information about 31 October and 5 November in the UK. 53. Discussing Grammar with My Brother How much does my brother know about grammar? The answer – not as much as you do. 51. Luke Answers Your Emails and Questions Answers on a range of different topics and language areas. 49. Stand Up Comedy An introduction to stand up comedy. 48. Useful Expressions for Travelling How to talk about your travelling experiences when you’re on holiday. 47. Travelling in Vietnam Descriptions of my holiday in Vietnam. 45. Luke & Andy’s Crime Stories A funny conversation with my friend Andy in which we share some anecdotes about low-level crime. 44. Telling Anecdotes How to tell anecdotes and personal stories in English. Listen to authentic English and learn some key language. 43. Notting Hill Carnival Video Frustration (Out-takes) Just some funny outtakes from the Notting Hill Carnival video. 40. Health / Feeling ill – Phrasal Verbs & Expressions A funny episode featuring lots of vocabulary about feeling unwell. 39. Subtitles in Videos (Video) A video with some comments and advice on watching videos without subtitles. 35. London Video Interviews – Part 1 (Video) A video featuring native speakers in London. This video has over 1 million views on YouTube. 33. Money Money Money – 12 Phrasal Verbs & more… Vocabulary and chat about money matters. 32. Doctor Who Everything you need to know about one of the UK’s favourite TV shows. 31. Hello! / Argument Sketch Another quick message and a comedy sketch. 30. The Mystery Continues… Listen to me tell the rest of the mystery story from episode 29. 29. Mystery Story / Narrative Tenses A very popular episode – learn narrative tenses and listen to a short mystery story (especially for the Doctor Who and Sherlock fans out there). 28. Interview with a Native Speaker – The Weather A funny conversation about the weather with a teenager from London called Chris. 27. British Weather (Lots of exciting vocabulary!!!) All the vocabulary you need to talk about the weather in the UK! 26. Are you a good learner of English? Important advice for how to be an effective learner of English. 25. Notting Hill Carnival – 40 Phrasal Verbs A video diary about the Notting Hill Carnival, with 40 phrasal verbs. 24. Music Idioms Learn some idioms related to music in this funny episode. 23. Summer Music Festivals Everything you need to know about the culture of music festivals in the UK, and some vocabulary. 22. Full Interview with Vicky from China The rest of the interview with Vicky. 21. Learning English with Podcasts – Advice from a Chinese student at Oxford University An interview with a Chinese student studying at Oxford – talking about how to use podcasts to help your English. 20. Beware of Bad Pronunciation Making fun of a viral video featuring someone doing a bad British accent. 19. Passive Verb Forms A news story about Michael Jackson and then some essential grammar about passive verb forms. 18. 10 More Phrasal Verbs Listen to a business meeting with Al Pacino, Robert DeNiro and Sean Connery and learn 12 phrasal verbs. 17. Hello To My Listeners Around The World I respond to questions and comments from listeners around the world, including various questions about learning English. 16. Michael Jackson Interviews with my friends about the king of pop. 15. Extra Podcast – 12 Phrasal Verbs Learn 12 really useful phrasal verbs. 14. British & American Pronunciation Listening to a talk about international English, then a language focus on differences between British and American pronunciation. 13. Video Podcast – I LIKE IT! A vocabulary lesson on 16 alternative ways to say “I like it”. 12. Extra Podcast – Quick Hello 3 Another quick message and a comedy sketch with transcript. 11. Men vs Women (with Nick, Howard, Shirley & Michelle) Interviews with my friends Nick, Howard, Shirley and Michelle about differences between men and women, and the book “Men are from Mars, Women are from Venus”. The language focus is on vocabulary used during the interviews. 10. Extra Podcast – Quick Hello 2 [TA] A quick message from me, some information about Monty Python’s Flying Circus and a comedy sketch. 9. Travelling in India [TBP] A conversation with my friend Ben about travelling experiences in India, with a language focus on expressions used during the conversation. 8. Dating and Relationships [TA] Vocabulary for talking about dating and relationships, and a comedy sketch. 7. Susan Boyle [TA] Talking about the reality TV pop star Susan Boyle, and a language focus on idioms to describe personality. 6. Vampires! [TA] A lecture on the myth of the vampire in modern popular culture, with a language focus on vocabulary to describe emotions. 5. Joaquin Phoenix [TA] A conversation with my friend Howard about the actor Joaquin Phoenix, and a language focus on using modal verbs for speculation. 4. Extra Podcast – Quick Hello [TA] A quick message from me and a comedy sketch. 1. Introduction [TA] Who is Luke? What is Luke’s English Podcast? How can it improve your English?